A technology education program officially launching in the fall at the University of Victoria in British Columbia hopes to address a gap in the industry with a novel approach for students. The HighTechU pilot program, run by the University of Victoria, is aimed at high-school kids. 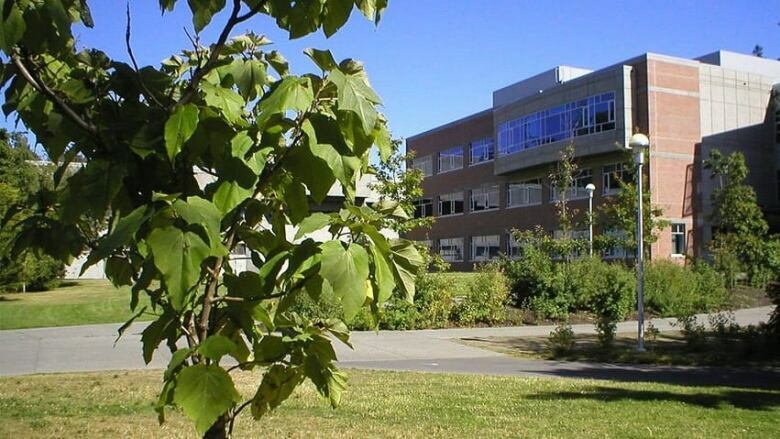 A technology education program officially launching in the fall at the University of Victoria hopes to address a gap in the industry with a novel approach for students. HighTechU is a pilot program for high-school students developed through the university's computer science department in partnership with Victoria's technology and education sectors. It aims to develop skills in enterprising Vancouver Island teens to make them more effective in the tech industry, beyond the primary coding and technical abilities needed. Andrew MacLean said he and program co-founder Ulrike Stege wanted to prepare students for the reality of the industry ahead of them, while making diversity a cornerstone of the program. "It really focuses on the soft skills that go along with that career, and really focuses on workplace competencies for these students," MacLean said. "They get a sneak peek and to test-drive a technology industry career before they even graduate from high school." HighTechU has two programs: the Computer Science Skills Academy, a six-week program that teaches coding and practical skills; and a summer industry internship program to give those students an eight-week, paid experience with a local technology company in Victoria. MacLean said students enrolled in HighTechU are taught "soft skills" such as project management and personal communication to help them better understand the breadth of roles in the tech sector. He said their mission is to impart to students how critical personal development is to a successful career in technology — as important as mastering the latest code language. "It's about how to be someone who's not just building something, but someone who's developing something and truly bringing it from start to finish," he said. MacLean said HighTechU is a grassroots initiative that de-emphasizes students' socio-economic backgrounds while it looks to narrow the diversity gap in the technology sector. They do this by focusing on groups that are underrepresented in the industry, such as women, Indigenous youth and people of colour. "We have six core competencies we were looking for in students," he said. Those values — respect, resilience, teamwork, creativity, curiosity and innovation — were specifically asked for by the industry partners who worked with MacLean and Stege through each step of their students' application process, he noted. MacLean said when they pitched the project initially it started out being a coding-primary program, until conversations with several industry partners revealed a different need. They told MacLean they did not care as much about the technical skills as having balanced, flexible students. "They said 'we're looking for you to find those students that are self-motivated, passionate,"' said MacLean. "Their 'big words' were curious and passionate about technology, willing to learn and do the work and put in the time to be able to adapt to the changing situations [of the industry]." MacLean likened their approach to the old truism of the fisherman. "If you teach one programming language, that's great for the year that language is really popular. But then when the new programming language comes out, those students need to be able to learn on their own." MacLean said they worked closely with three school districts and several private schools in the Greater Victoria area to develop a curriculum for the program. "A lot of the students that come through have done the computer science programs and are exceptional students before they come to us," he said. One student from an earlier pilot finished high school in Victoria in June and is already working as an intern at a startup called Sendwithus. She'll be attending UVic's software engineering program when classes resume. ​The program is delivered at no cost to students in grades 9-12 beyond nominal registration fees and MacLean said the next group of students will be welcomed to HighTechU's Academy program in February 2019.